Author Margaret Heaton published her German fairy tales under Margaret Arndt, or Frau Arndt. Historians don’t have much information about her life, but we know she was of English descent and married to a German named Paul Arndt. Her cousin was the wife of English novelist G.K. Chesterton. Not only did Chesterton write the introduction to her work, he also illustrated the cover of her collection of German fairy tales, Fairy Tales from the German Forests. 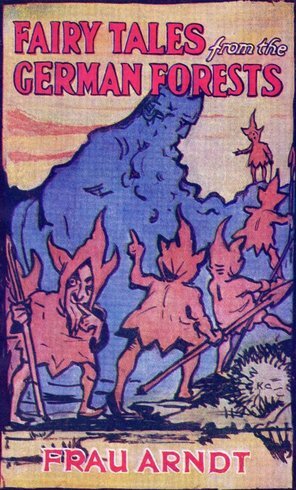 The book was published around 1913, and features an interesting selection of imaginative fairy tales from Germany with deep conversations, unlike the Grimm Brothers’ style of German fairy tales. Some historians and fairy tale experts have likened this collection to a Victorian style of writing.